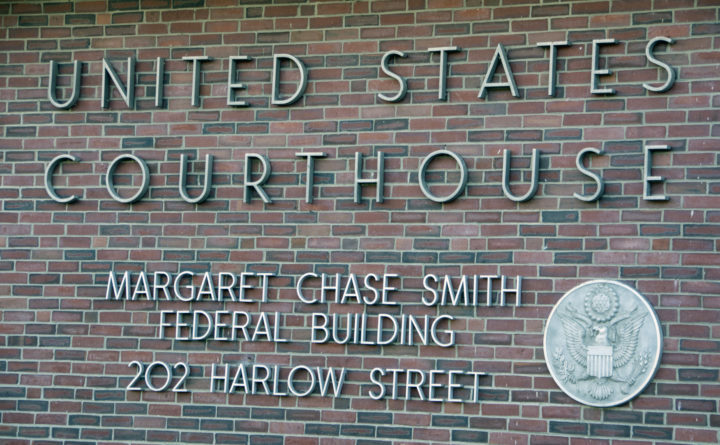 The Margaret Chase Smith Federal Building. The No. 2 man in a drug distribution ring that operated in Kennebec County for nearly two years was sentenced Monday in U.S. District Court to 10 years in federal prison. Denton “Lil D” Worrell, 21, of Rochester, New York, pleaded guilty in May to a drug conspiracy charge, according to court documents. Worrell admitted that between June 2015 and March 2017 he conspired to distribute heroin, fentanyl and cocaine base, commonly known as “crack,” in the Augusta-Waterville area. Worrell worked for Darrell “D-Coast” Newton, 39, of Rochester, New York, who ran the operation, according to court documents. Newton relied on Worrell to manage the operation in Maine. “[He] managed the operation and oversaw the distribution of drugs from 12 to 15 ‘trap houses’ in central Maine, [from where the drugs were bought by customers]” the U.S. attorney’s office said Monday in a media release. Worrell was one of 16 people from New York and Maine to be indicted in May 2017 in the conspiracy. Newton and four others are to be tried Nov. 6 in Bangor. The other defendants all have pleaded guilty. In addition to prison time, U.S. District Judge John Woodcock sentenced Worrell to three years of supervised release. Worrell faced up to 20 years in prison. Assistant U.S. Attorney Joel Casey recommended he spend 14 years in prison. Defense attorney Roger Brunelle of Portland urged the judge to send Worrell to prison for just four years.